Looking for an election connection for your classroom? I have one. Need your school funds to blossom? Let me help you check this off your list. Want to stretch your students’ vocabularies? I found a fun freebie that will do the trick. Post a comment to this blog no later than 11:59 pm EDT on April 3, 2016, to tell me which of the items below would help you in your classroom. 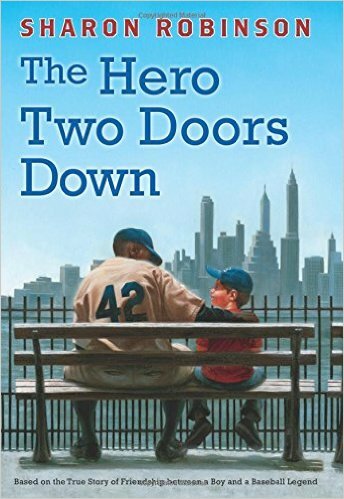 From the comments, I’ll randomly select one teacher to win The Hero Two Doors Down, a story about a friendship between a boy and a baseball legend. Election news is all around, so here’s a way to make it meaningful for your students. In the Meet Me in DC contest, students are invited to design an election poster that highlights important community issues. Two students—one for grades K–5 and one for grades 6–12—will win a trip for two to Washington, DC. They’ll see Congress in session, tour the White House, visit the set of PBS NewsHour, and more. But hurry, entries are due March 31, 2016. Click here for details. Go green and let school funds bloom! 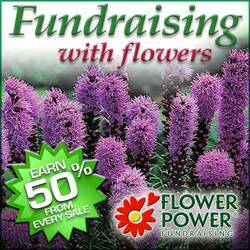 Flower Power—a fundraising-with-flowers program—lets you earn a 50 percent profit, guarantees all products, and ships directly to your customers’ homes. Learn how with a free kit. Click here by April 1 for spring fundraising. 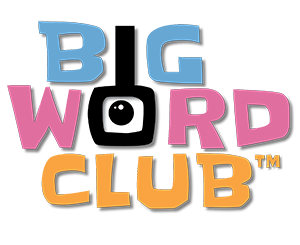 Invite your preschool through grade 5 students to join the club—the Big Word Club! This vocabulary program teaches kids one new word every day. Through the end of this school year, you can get free access. Click here, select “Try it FREE,” and choose “Pilot Teacher” in the “How did you hear about us” menu. Don’t forget to post a comment for you chance to win the book! The Hero Two Doors Down, would be a wonderful and inspirational book to add to our library. The students enjoy reading about heroes and what better way than through a sports hero. Thank you for sharing. The Big Word Club is the resource that will be most useful in my classroom. I work with my students daily on vocabulary development. I love the Big Word Club. This would be a great resource to use in my classroom to build my students vocabulary. Would love to have “The Hero Two Doors Down” in my collection. It was in our school book fair but sold out quickly. The Big Word Club would be a great resource to use in my classroom to build my students vocabulary. The Big Word Club looks like a good fit for my students. Thank you for sharing that link! Love the big Word club cant wiat to try with my kiddos. The Big Word Club is a great resource for my students.The Hero Two Doors Down sounds like a book my students would really enjoy. The Hero Two Doors Down is a book I think my students would enjoy with Spring Training in session now and Opening Day coming soon. I also like the book because it would be something the students would like in my classroom especially for the boys. Big Word Club sounds great. You can never know too many words. The big word club sounds great. You can never have enough words in your vocabulary. You never know when you might need them for reading, spelling, or stumping your friends, family, or even teachers. The Hero Two Doors Down would be a great addition to my library! Also the Big word club sounds like a great program! The Big Word Club is a really unique idea. I could definitely use that in my classroom! Love the Hero Next Door- we are learning about what makes a hero.